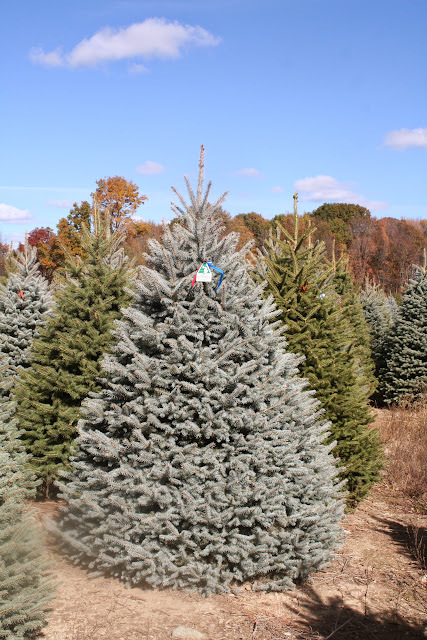 The Blue Spruce has moderately sharp needles that are 1 to 1 ½ in. in length. This species is bluish-gray in color. This Christmas Tree has good symmetrical form and an attractive blue foliage. It also has good needle retention. This tree has strong branches excellent for heavy ornaments.